8. Seat sponge: thickness is 15 cm. 9. Back wooden shell: thickness is 1.5 cm. 10. Seat wooden shell: thickness is 1.5 cm. 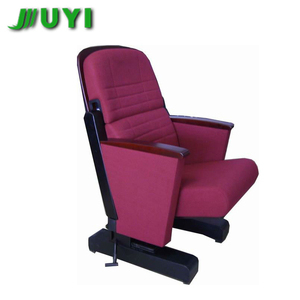 JUYI Factory Price Wooden commercial cinema seats Theater Seating Manufacture Price Seating JY-601 Cinema Chair Descrip PRODUCT DESCRIPTION Product Name Cinema Chairs Auditorium Chair Model No. Our professional, experienced and skilled workers make sure that every step of the product process is under the guideline of ISO 9001 and ISO 14001 system. 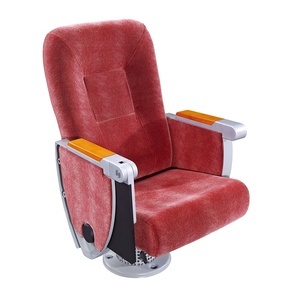 We are great welcome kinds of countries business people come to us, join our business for gain Various of project of seat equipment, stage equipment,Light equipment,audio equipment. 7.Writing pad: Melamine veneer with high-strength aluminum alloy rotating mechanism. Delivery time: About 15 to 20 days. Loading Port: Shenzhen/Guangzhou Payment: 30% T/T deposit, 70% balance pay before loading. 2. Discuss all details with you and make the sample if needed. We will be tracing the different phase of production from the beginning. We will try our best to help clients when problem occurred. 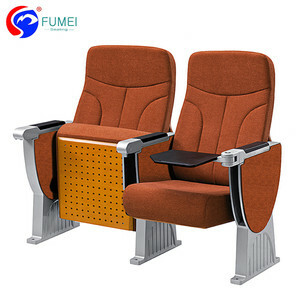 (Goss weight):20kg(for simple one) / 25kg Options: 1)seat number 2)row number 3)so many colours fabric 4)fire resistant molded foam(sponge) 5)fire resistant fabric(America or British stander) 6)any pcs in one set is ok Padding: High density molded foam (sponge). Loading quantity: 20ft container 200pcs / 40ft container 446pcs / 40HQ container 523pcs Warranty: More than 3 years Delivery time: One or two weeks,it is up to model you decide. 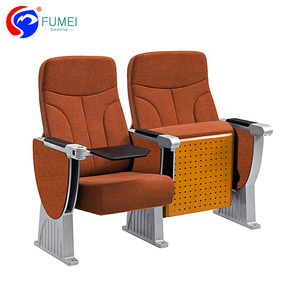 2) Coating: electrostatic powder coating after deoiling, anti rusting, acid cleaning 3)Chair seat and back cover:High density PP 4) Fabric: high-grade fabric(The color be selectable),anti-staining and unfading. 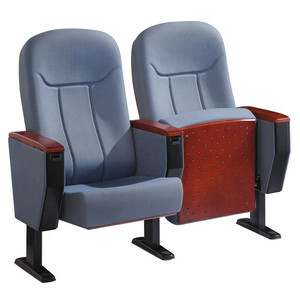 Alibaba.com offers 3,892 wooden theater seating products. About 93% of these are theater furniture, 3% are living room sofas, and 1% are other sports & entertainment products. 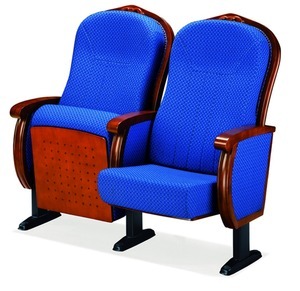 A wide variety of wooden theater seating options are available to you, such as genuine leather, plastic, and metal. 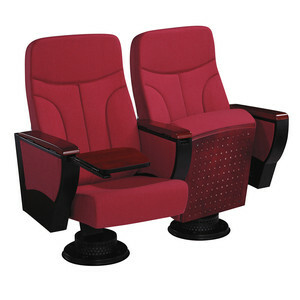 You can also choose from theater furniture, one seat. As well as from no, yes. And whether wooden theater seating is sectional sofa, chesterfield sofa, or corner sofa. 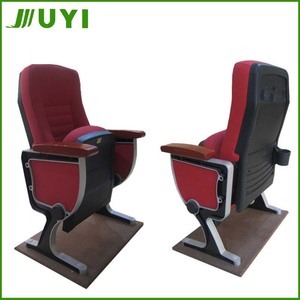 There are 3,892 wooden theater seating suppliers, mainly located in Asia. 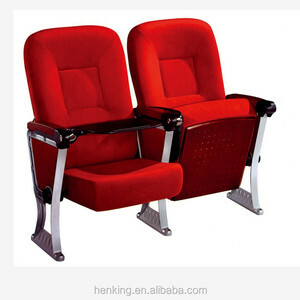 The top supplying country is China (Mainland), which supply 100% of wooden theater seating respectively. 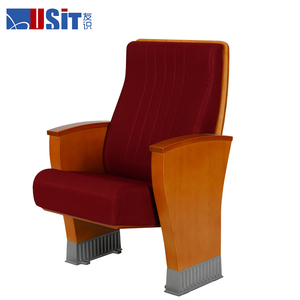 Wooden theater seating products are most popular in Domestic Market, Mid East, and Southeast Asia. You can ensure product safety by selecting from certified suppliers, including 2,342 with ISO9001, 1,739 with ISO14001, and 1,062 with OHSAS18001 certification.